Nolan Arenado dominates the hot corner with a Rawlings HOH PRO12-6TI glove. 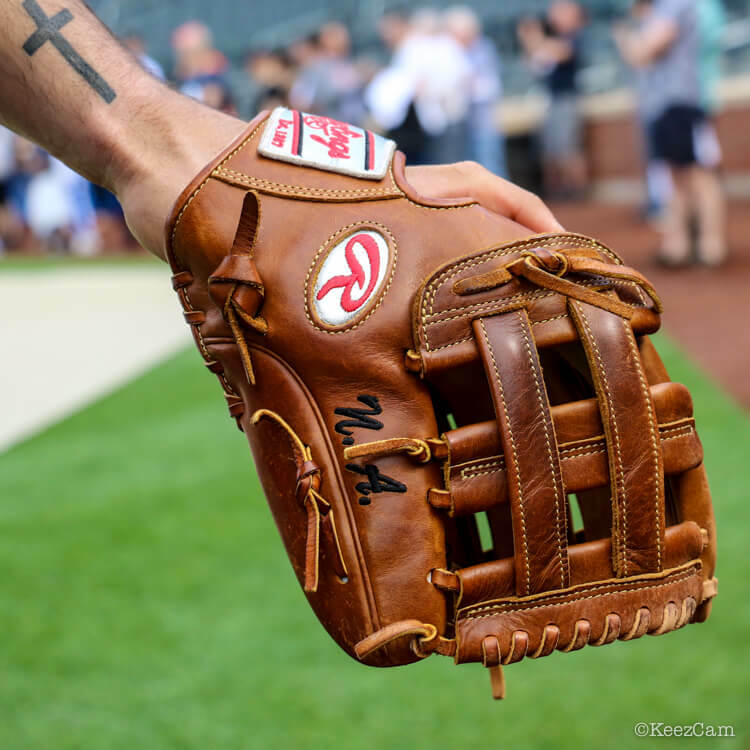 Arenado rocked this glove with gold labels in 2018, and you may see the platinum in 2019. The glove is a color that Rawlings calls Timberglaze. Arenado’s H-Web pattern can be had at the link. Categories: Gear, Glove, Colorado Rockies, Third Base, Nolan Arenado.